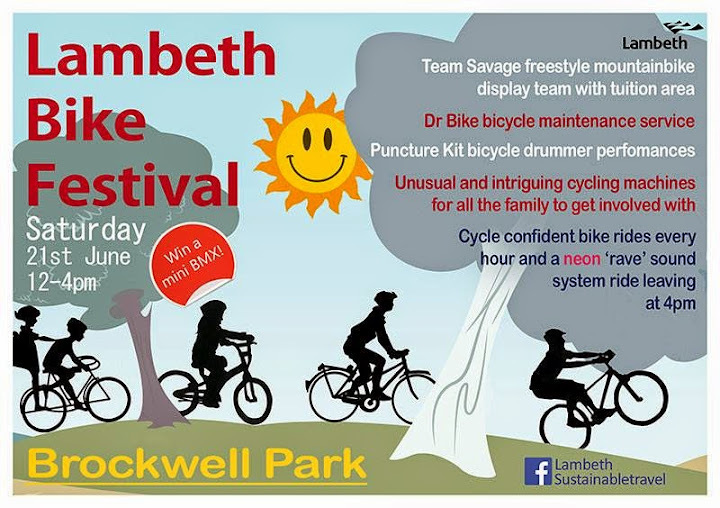 This Saturday, 21 June 2014, Lambeth are running a Bike Festival in Brockwell Park 12-4pm. At this event, to be held near the Lido you will be able to try out new bikes, 'bling' your bike, watch bike displays and generally talk cycling. There will be also be bike rides setting off throughout the afternoon and an opportunity to get your bike fixed by Dr Bike service.